You can find the most popular Android Apps by checking the number of downloads on the play store, in this article we’re going to look at some of the top apps that you may have missed. 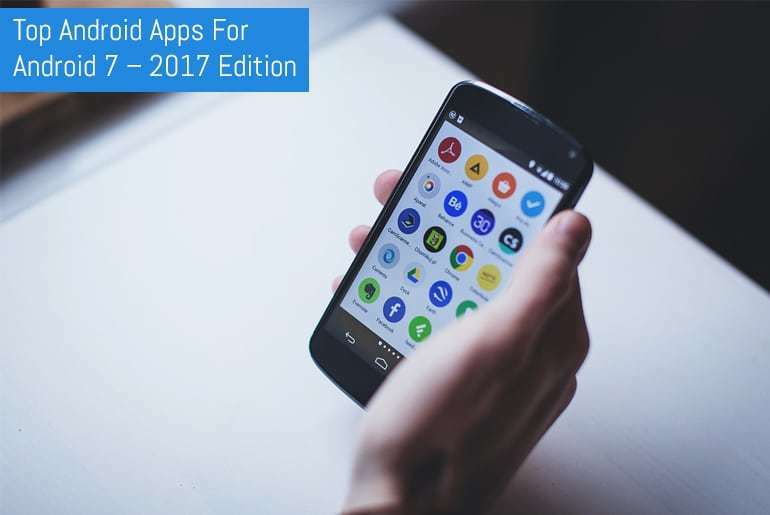 Most of the apps in this list are free, however, some may include content upgrades and optional extra purchases so you may want to bear that in mind when evaluating these apps. Photo Bucket has been rated by almost 80,000 people and is a well-designed program that allows you to upload your pictures, add captions, do basic editing and have them printed in a variety of formats such as Canvas and sync photos to your Android Wear device to use as a background. You can also follow your favourite celebrities and add stories that are short, trimmed videos. It’s an interesting alternative to Instagram and Snapchat. A useful alternative to Google Maps, MapFactor gives you directions and offline navigation for a lot of different locations and will help you easily find the locations you want to reach. With almost 5 Million installs, LastPass is one of the most popular password managers available. If you struggle to remember passwords for apps and websites then this program can help, it will remember them all for you and also syncs across devices. If your phone has a fingerprint sensor, LastPass will also let you use that as your password too. With over a million installs, Subway Surfers is the game to check out if you want to get away from it all on your break or commute. You need to outrun policemen by jumping over trains and collect coins on the way to the end of the level. Although there are a lot of file storage apps available, the best one is Tresoit. It offers the best storage capacity and you can save a variety of files including photos and notes. It offers amazing security by encrypting your files and allows you to share files and folders with friends and colleagues. This highly used app is used for shipping and getting deals on a variety of different things. You can easily buy anything from Groupon just by placing an online order and get everything delivered to your doorstep. People can buy household and personal items such as shoes, dresses and mobile phones with a wide variety of mobile phone covers. This app allows you to view your photos and perform basic editing tasks. It’s a free app (currently in beta) and there are no in-app purchases. There are many templates that you can use when editing to make your saves pictures special. These are the big apps which are climbing in popularity in 2017. The designs and ideas of an app can make any app popular and trendy, but the ones on this list stand out from the crowd in terms of fun and functionality. If you have not used any of the above apps then do not wait… Just take out your android phone and start downloading them from the Play Store today. I have been writing articles for websites and blogs for two years now. I had a fair share of writing on a variety of niches but my main focus is Technology, Smartphones and Finance. Currently, I am working with a client (phonecase.pk) who offers a variety of all Smartphone cases and accessories across all cities of Pakistan.